Nvidia says the company's third-quarter profit growth was driven largely by increasing demand for high-end GPUs in gaming PCs that are now "dramatically better" than consoles. Things are going pretty well for Nvidia. Third quarter revenues were a not-insubstantial $1.07 billion, up roughly five percent over the previous quarter, while net income came in at $178.3 million, compared to $151.6 million for the prior three months. Overall consumer GPU business was essentially flat, climbing a mere one percent, which isn't bad when you consider "the continued downward pressure on our revenue as we end-of-life our MCP [media and communications processors] products. MCP revenues declined $47.3 million to $22.4 million in the third quarter." So what's making up for it? Everybody's favorite dying game platform, the PC. I don't know if it's still cool to proclaim the PC dying and/or dead but either way, it sure does seem to be pulling in the green for Nvidia. 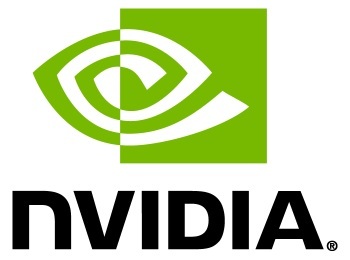 "The strength in our GPU business in the third quarter was largely attributable to our desktop GPU products, with revenue increasing 23.0 percent over the prior quarter," Nvidia Chief Financial Officer Karen Burns wrote. "This was not only due to seasonal strength for desktop GPU in the third quarter, but also the increased demand for our high-end products as consumers geared-up their PCs for new titles such as Battlefield 3, Elder Scrolls V: Skyrim and Star Wars: The Old Republic." "This happens every major game console cycle toward the second half of its product life, because PC technology advances on a regular basis instead of once every seven to ten years," Nvidia CEO Jen-Hsun Huang explained in a follow-up Q&A with investors. "And so you could imagine how PC technology is dramatically better than a game console today, and you're starting to see that now with a new generation of games that are coming out, such as Battlefield 3." It's no secret that I'm a big PC fanboy but I'll resist the urge to point and laugh at all you button-mashers out there, because Jen-Hsun Huang just did it for me. Instead, I'll simply note that while the PC is unquestionably a niche platform these days, it also appears to remain a viable one. That's good news for the die-hards who value performance above all else - and who have spent a lot of time over the past few years being told that they were no longer relevant.